Ana Cláudia Lemos Silva and Simone Alves da Silva shone at the 30th edition of the “Troféu Brasil de Atletismo”, the Brazilian National Clubs Competition that also serves as National Championships. Held from 3 to 7 August at the track of the “Parque Ibirapuera” in São Paulo, the Troféu witnessed three South American records and numerous high quality performances. The 22 year-old Lemos Silva (Jaguaratema, Ceará, 6 November 1988) won the 100m and 200m, setting a South American record in the latter with 22.48 in the heats (wind 1.0 m/s), on Saturday (6). A day later she took the 200m title in the final with 22.68 (-0.3). The previous South American 200m record belonged to Lucimar Moura with 22.60 (set at high altitude in Bogotá in 1999). The 22.48 mark moves Lemos Silva to the eighth spot of the 2011 world lists. Lemos Silva also holds the 100m South American record (11.15 from 2010), and had won the 100/200 double at the 2011 South American Championships in Buenos Aires. Alves da Silva (Morro do Chapeu, Bahia, 12 September 1984) continued her impressive progression by setting a new 10,000m South American record with 31:16.56 on Wednesday 3 August. Carmen de Oliveira Furtado had recorded the previous best of 31:47.76 at the 1993 IAAF World Championships. Alves da Silva ran an impressive solo race, passing the 3000m in 9:22.80, and the 5000m in 15:38.24. The performance is even more outstanding, minding that São Paulo is located at 760m above sea level. Later, on Saturday (6), Simone completed the long distance double by taking the 5000m in 15:39.37. The race was slow at the start, and in another great display of her form, Alves da Silva covered the final 3000m in 9:06.47 (her actual PB is 9:09.41). 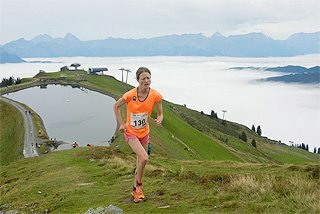 As an athlete who has come to the sport at a late age (Alves da Silva was first know in 2008 when she ran a Half Marathon in Rio de Janeiro in 1:19:15), Alves da Silva is emerging as a solid name at the global scene. 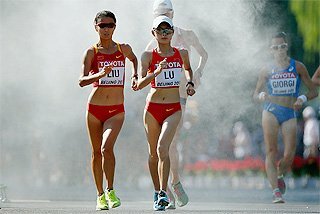 She will run the 10,000m at the IAAF World Championships in Daegu; currently she is ninth on the 2011 world Lists. 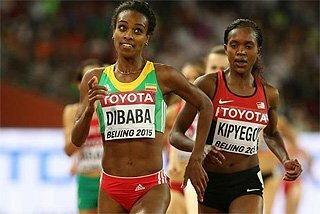 “I have trained very hard in the last two months, hoping that the planning developed by my coach (former Steeplechaser Adauto Domingues) would bring me this wonderful record. 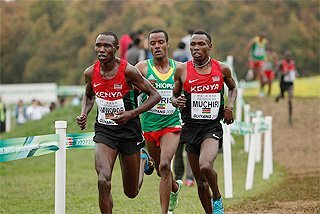 I’m just hoping to do even better at the World Championships,” expressed Alves da Silva, who is also the 2011 South American 10,000m and Cross Country champion, and the 5000m record holder (15:18.85 from 20 May 2011). 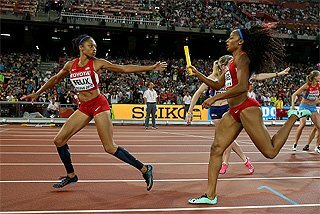 The third South American record of the meet came in the women’s 4x400m relay (7), when the team by BM Atletismo clocked 3:26.68, erasing the previous mark of 3:26.82 set by the Brazilian National Team at the 2005 IAAF World Championships. The BM’s team was: Geisa Coutinho, Bárbara de Oliveira, Joelma Sousa and Jaílma de Lima. The four athletes also captured the top-four places in the 400m race: Coutinho 51.35, de Lima 51.89, Sousa 52.36, de Oliveira 52.39. A total of 10 Troféu records were set at this edition. Perhaps, the most remarkable ones were the ones of Bruno de Barros at 200m, Kléberson Davide at 800m, and Luiz Alberto de Araújo at Decathlon. Returning from a two-year suspension, de Barros ran 20.16 at the 200m heats (1.1 wind). 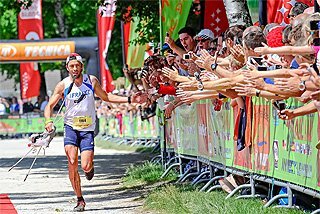 Later he won the event in 20.21. Both marks were better than the Troféu record, set by former Olympic medallist Róbson da Silva in 1989 (20.32). 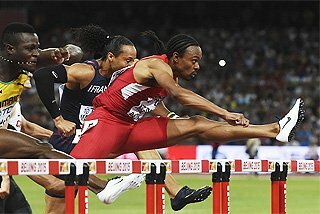 With his 20.16 performance de Barros is now sixth on the 2011 world Lists, only preceded by Jamaican and US athletes. 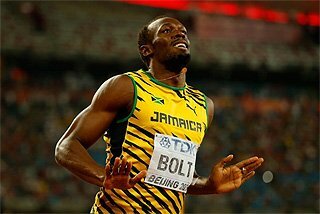 The 24 year-old also won the 100m at the Troféu, in 10.25. Davide ran a 1:44.21 PB at 800m, improving the 1983 Troféu record, set by another Brazilian legend: José Luiz Barbosa, a former World indoor Champion and World Championships medallist. After a first lap in 50.97, Davide showed his good form in the last 200m, were he distanced himself from the rest of the field. Lutimar Paes was second with 1:45.37, and Fernando da Silva third with 1:45.66 (PB). Luiz Alberto de Araújo won the Decathlon with 8115 points, moving up to the third spot of the South American all-time lists. After winning the South American title in Buenos Aires, de Araújo broke the 8000-points barrier for the first time in his career, supported by four PBs (SP, Discus, PV, 1500m). His 10 marks in São Paulo: 10.77/1.7; 7.26/1.8; 15.64; 1.90; 49.24; 14.48/0.1; 47.41; 4.70; 54.63; 4:32.59. In the best-ever Decathlon among South American athletes, Chilean record holder Gonzalo Barroilhet was second with 7845 (SB), and Ânderson Venâncio was third with 7800 (PB). Maurren Maggi, the 2008 Olympic Champion at Long Jump was also on display, and in fine form. 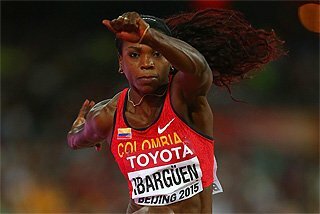 The 35-year-old from São Carlos won her seventh national title with 6.74m (-0.7). Her series: foul, 6.64m/0.2; 6.74m; 2 passes; foul. “I showed good form. 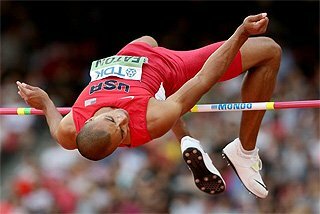 I may repeat myself, but my goal is to jump further than 7m at the Pan-American Games, to win my third title at the Games. 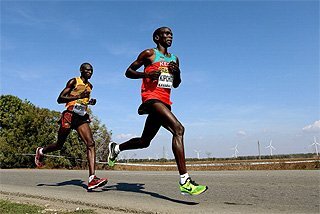 I will go to the World Championships in good shape. Perhaps I can jump 7m there as well”, said Maggi. The 26 year-old Lucimara da Silva won the Heptathlon with 6074 points, missing her own South American record by just two points. 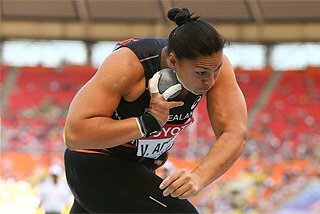 Her seven performances: 13.57/0.1; 1.84m PB; 12.74m; 25.27/1.2; 6.40m/1.6; 37.67m; 2:19.18. Club BM Atletismo won the Troféu for the tenth consecutive year with 733 points, ahead of Esporte Clube Pinheiros/Asics, with 377. 100m (4) (0.1 m/s)/200m (7) (0.5 m/s): Bruno de Barros 10.25/20.21 [20.16/1.1* 1h1 (6)]; 400m (5): Ânderson Henriques 45.81 NR-j; 800m (7): Kléberson Davide 1:44.21*; 1500m (4): Leandro Prates Oliveira 3:44.3; 5000m (7): David Macedo 13:58.35; 10000m (3): Marílson dos Santos 28:40.75; 3000m St (5): André de Santana 8:49.9; 110m hurdles (7) (0.0): Matheus Inocêncio 13.73 (Paulo César Villar COL 13.59); 400m hurdles (7): Mahau Suguimati 50.13 (Andrés Silva URU 49.46); HJ (6): Rafael dos Santos 2.18m; PV (5): Fábio Gomes da Silva 5.40m; LJ (4): Rogério Bispo 8.04m/1.9; TJ (7): Jefferson Sabino 17.07m/0.4; SP (5)/DT (6): Ronald Julião 18.32m/62.45m*; HT (3): Allan Wolski 67.81m; JT (7): Júlio César de Oliveira 71.94m; Dec (5, 6): Luiz Alberto de Araújo 8115*; 4x100m (5): BM 39.36; 4x400m (7): EC Pinheiros/Asics 3:05.69; 20000m Walk (5): Moacir Zimmermann 1:21:02.5.